Friday, Feb. 24 was the last day of Monika’s 15 year career with JB James. We honored Monika with a dinner for the office personnel on Thursday night. 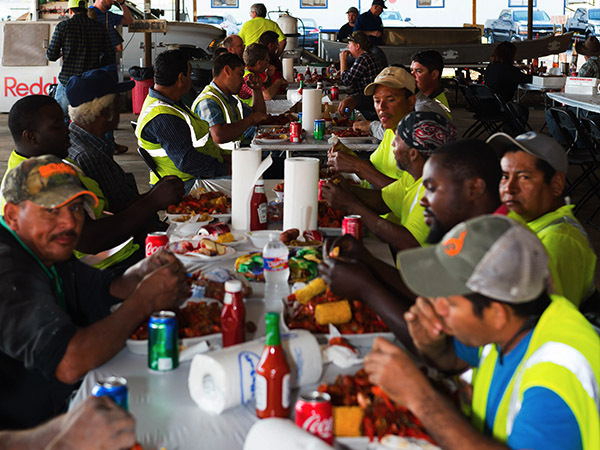 Toasts and speeches were made by many … and tears were shed by co-workers (yes, the men cried too). 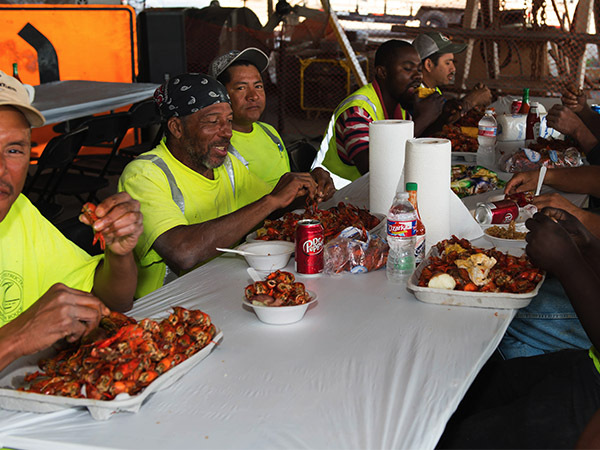 On Monika’s last day, we held a company crawfish boil at the stockyard, complete with crawfish and king cakes – Monika’s favorite! Monika started her career in the construction industry back in 1980. Monika and Jeff began working together in 1997 for Angelo Iofrates. When Jeff left A.I. to start his own business in January 2002, Monika was one of the first employees he hired. They worked out of an empty, flea ridden house at the very beginning, then moved to the Jefferson Highway office, and finally settled at the Wooddale location. 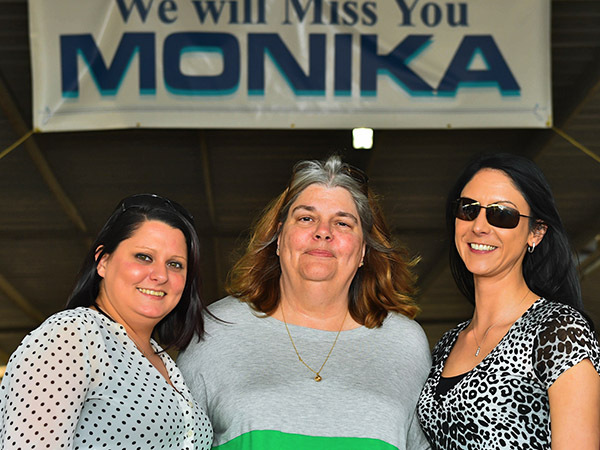 After 15 years together, Monika was helping Jeff to manage the business and 200+ employees! Immediately after the crawfish boil, Monika departed on a road trip to California where she and her husband enjoyed the tremendous and beautiful scenery the state has to offer. These days, Monika spends her time marking things off of her bucket list and doing whatever she gets the urge to do! We are so happy that Monika has agreed to be “on call” at the office for training and special projects. And we wish her much happiness in her new role as a retiree!